Of the many things that your school won't provide to you in your dorm room, proper lighting is another such overlooked aspect. Add the right lighting to your dorm by adding some lamps to your dorm checklist. When you're reading those textbooks, you'll need the right lighting to be able to see all those little words. Don't strain your eyes. 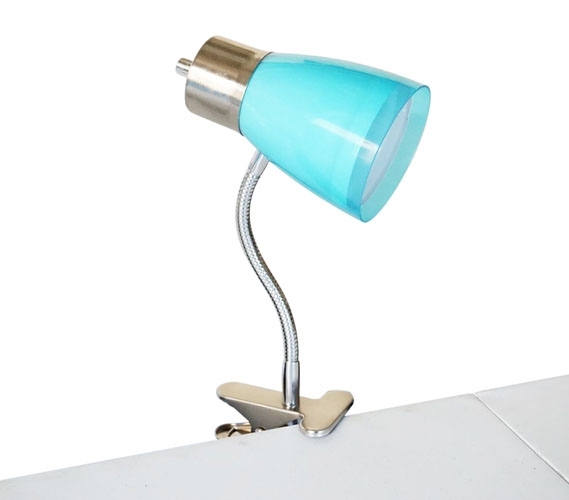 Instead, include this Aglow Dorm Clip Lamp - Aqua as part of your dorm stuff. This little dorm light can clip on the edge of a table, shelf, or even on the frame of your twin XL bed. It's a handy little dorm supply that can even be considered part of your college supplies for studying. That overhead light will be too bright or not bright enough, most likely, when it comes to having to read at your desk. 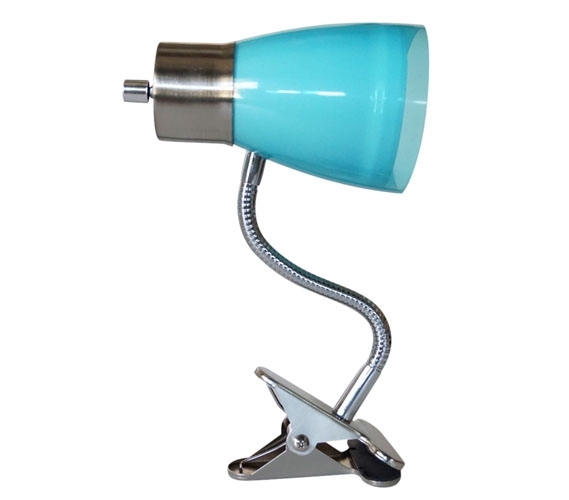 The flex neck on this lamp for college will let you adjust and get the position needed to read your best. 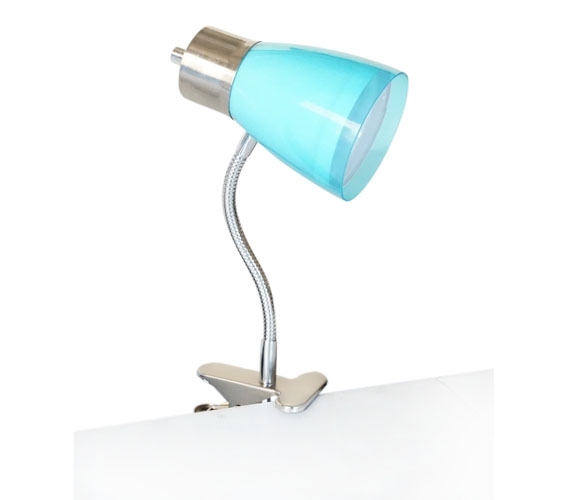 Plus, its cool aqua color will even enhance your college decor! When your dorm lighting also looks good, it's a nice added feature. After all, all your college stuff can contribute to your college decor since that room is so small. And speaking of size, this little lamp is great since it can deliver angled, proper lighting. You don't need some fancy chandelier as part of your dorm lighting. This clip-on light will be much more effective. 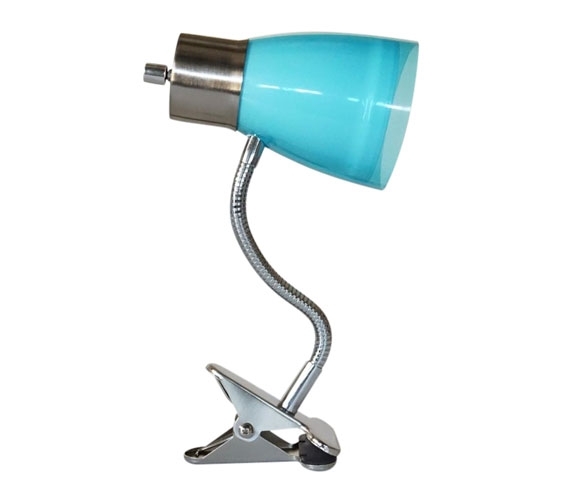 So study up in proper lighting with a proper dorm lamp like this one!